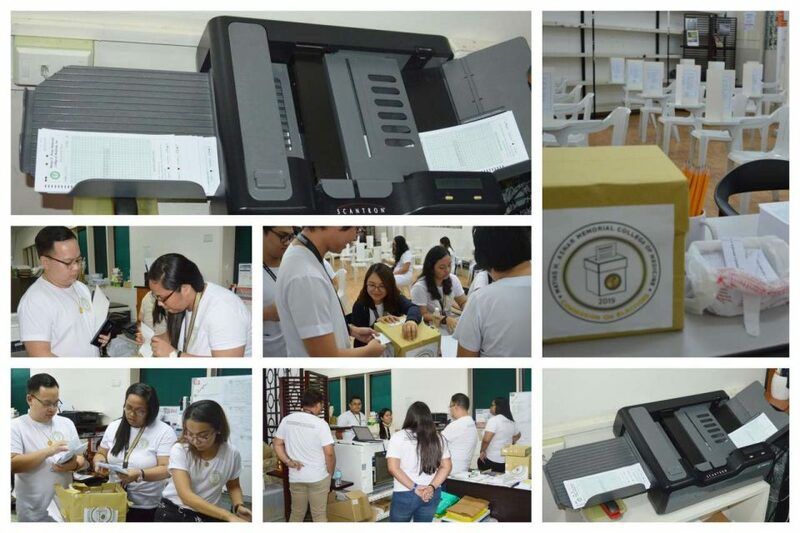 While the country is on its imperative nutshell with hottest races and hopefuls for the upcoming midterm elections on May this year, the MHAM Commission on Elections committee likewise boosts its first-ever automated election system for the General Elections which was successfully held at the MHAM Library Extension from 8:00 in the morning to 5:30 in the afternoon. 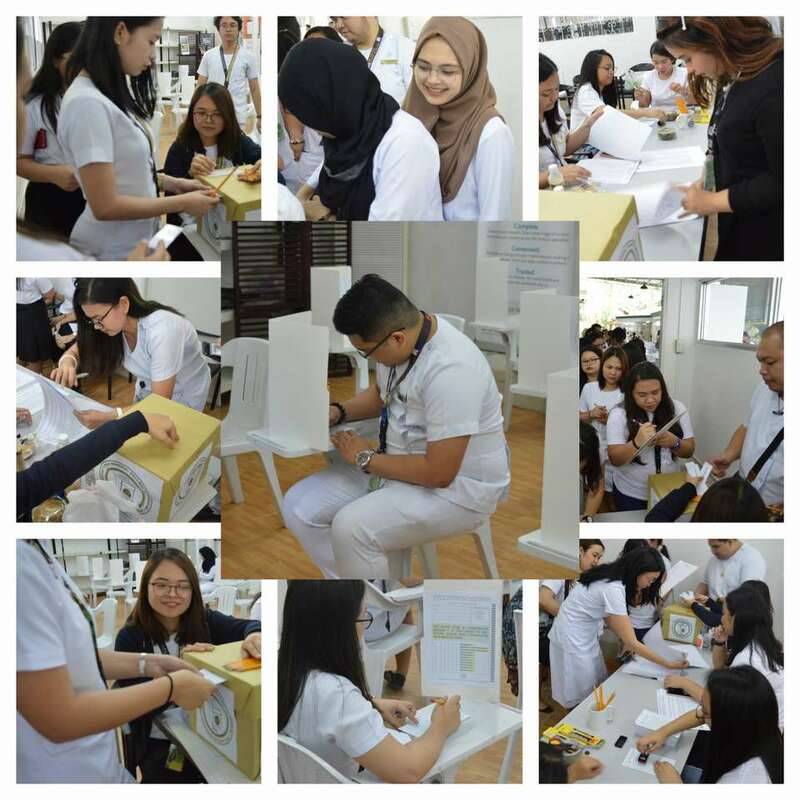 Working together to ensure the conduct of clean, accurate, transparent, and auditable election for the new set of Student Council officers for the academic year 2019-2020, the MHAM COMELEC committee pioneered to set up an automated system through the use of the school’s scantron machine for the very first time. 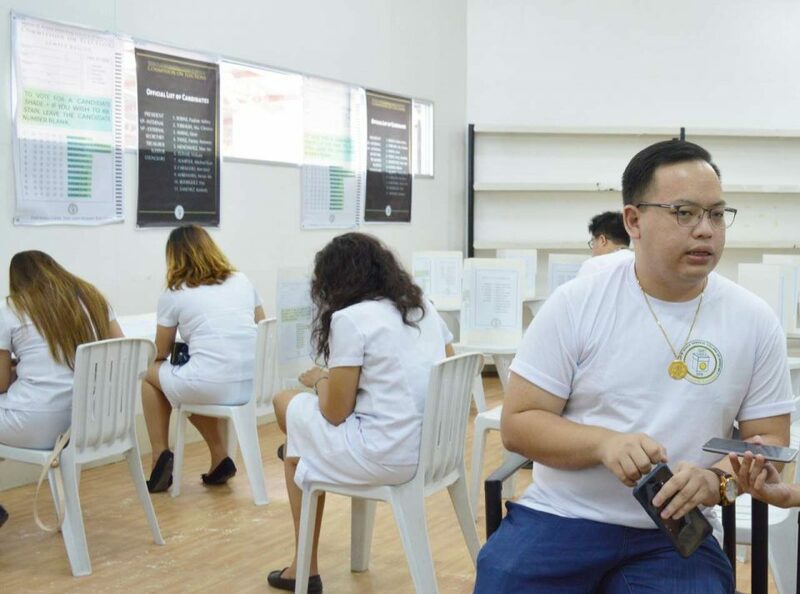 Spearheaded by the COMELEC committee to make the process of counting much faster and to eliminate invalid votes, five hundred fifty (550) voters exercised their rights to vote and chose the leaders whom they wanted to serve for the Student Body out of nine hundred forty-four (944) aspiring doctors from first to third years, respectively. 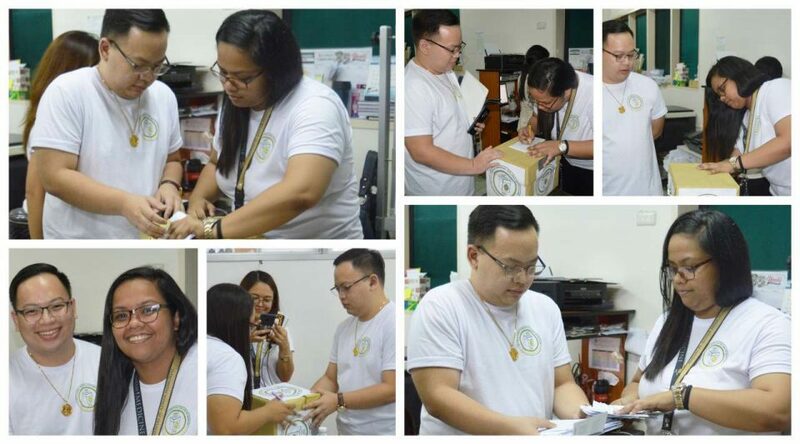 According to this year’s COMELEC chief commissioner, Sara Tamayo, who also served as the head of the finance committee, the voting procedures in the automated system were clearly and strictly given to the voters. For instance, if they shaded the letter A, that means they were voting for the candidate of that assigned number. If they shaded any letter aside from A, it will be considered a spoiled ballot. Should they failed to shade any letter at all for a certain number, it is considered as abstain and shall be counted for the total number of voters. Driven with the passion to lead and to serve for the Student Body, 24-year old Tamayo cited that the whole day activity was well-supported by her co-commissioners and members who laid up the election timetable and voting arrangements to clinch a fruitful general elections ever. She further divulged that part of the voting procedures includes the following: the Matias voters shall present their validated student ID to the poll officer and students with invalidated IDs shall not be allowed to vote; the poll officer shall indicate the date, time, and location of votation on the official COMELEC ballot and present it to the student after the student affixes his/her signature in the student master list; the voter shall shade the circle that corresponds to the candidate number of the candidate she or he wishes to vote for; and the voter will then place the ballot in the ballot box without showing it to any other person for any reason. For any mistakes or erasures, the voter must completely erase his or her markings and proceed with shading the circle of his or her candidate of choice. The determination of spoiled votes shall be under the discretion of the board of commissioners. Moreover, since there was only one party who ran for the new set of SC officers this year, the candidates need to have fifty percent (50%) of the total number of voters in order to win. Should the election turned out to be against two parties, the candidate with the highest number of votes for a certain position regardless of the total number of voters should win. Meanwhile William C. Tiu Jr., who served as a commissioner and Electoral Code and Grievance Committee head, stated that this year’s committee have decided and created a permanent electoral code for the next set of commissioners to follow in the succeeding general elections. Unlike the previous years where two or three parties were vying for different positions, the commissioner reiterated that they can never dictate the number of people who will run in as much as he believed that each year will always be different. Although in the past two years they have actually seen such colorful elections but this year has the smoothest campaign period and filing process. Interview with one of the Commissioners & Electoral Code and Grievance Committee Head, William C. Tiu Jr.
“Well every year the general elections are very important because this event is a demonstration of the students’ rights to select their leaders who will be serving the Student Council for the succeeding year. 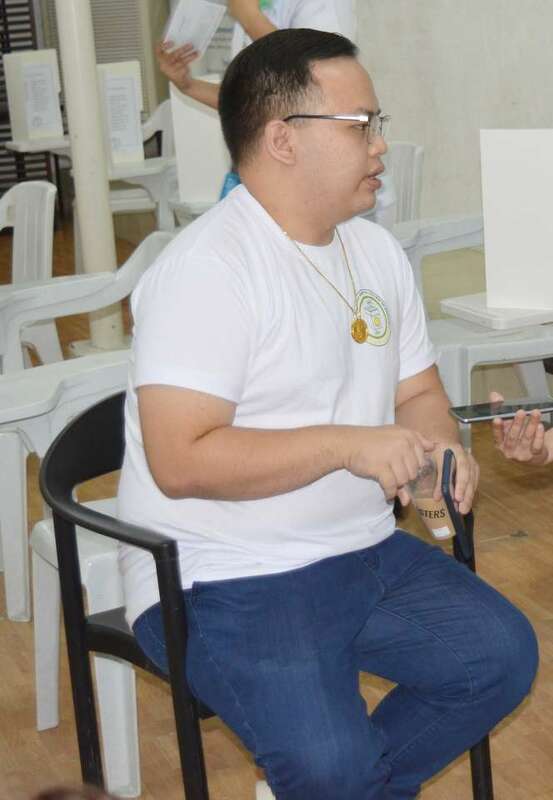 Again, it is very important because the elected officers will be the one to represent for the students to the administration and then these are the student-leaders who will be planning for the activities for the succeeding school year”, 25-year old Tiu said in an interview. Out-going APMC-SN National Executive Vice President, William C. Tiu Jr.
As the first Cebuano officer who became the national executive vice president in the APMC Student Network history, Tiu is a noted student-leader since grade school at the Sacred Heart School Ateneo de Cebu where he graduated until high school. Prior to becoming a Matias aspiring doctor, he also showed his leadership skills during his college days and continued his love for service as he was elected as the class president, SC external vice president, representative to the APMC-SN and Visayas Regional Organizational Development Committee chair in the last two years of his medical journey in MHAM. MHAM student-leader William Tiu Jr.
“Being a medical student it’s already very hard, it’s already very demanding, so much more if you’re a student-leader. Since first year I had been serving as the class president, to the Student Council last year then to the APMC this year. It’s very challenging but it’s always a question of ‘who do you do for’ and if you only remember your purpose for the service, for the students, it actually lightens your role and guides your principle when you serve. When it comes to the Student Body, MHAM have had always a dynamic and supportive body and most of the activities of the council are very well-attended by the students. The students themselves really want to be involved in the activities”, cited the out-going national executive vice president. Looking forward to step up in the next year level as one of the medical clerks among the class of 2020, Tiu will still be part of the national APMC-SN as the national officers asked him to continue his service this coming academic year being the director for External Relations and Partnerships with APMC which is actually a new position. “It is an honor for me to handle the position since I will be the first person to handle it. Basically this position will handle all partnership with external organizations outside the network”, he added. While some may not understand how challenging it can be to have particular responsibilities apart from being a medical clerk, the incoming director for External Relations and Partnerships with APMC is always decisive in his innate willingness to give his capacity, time and energy when it comes to service rooted from his strong-minded persona. “I’ve always been a meticulous person especially when it comes to planning. For me an event is successful because you also had a good preparation for it and I was never the type of person who do last minute planning. I prioritized time management and I planned before the actual event because in my head there’s always has a vision of what I want to achieve, plan every single detail, identify the people who will be executing specific parts of your plan and deliver it. One of my strength as a leader is the fact that I am also a public speaker and I think it contributes a lot to how people follow you and how people believe in you and you are able to deliver your mission through words and actions. It is also an effective way to convince or to inspire others”, he concluded. Lauded for their unity and cooperation to say goodbye to manual vote counting, this year’s COMELEC team is composed of commissioners Sara Tamayo, William Tiu Jr., Maria Clarinda Surpia and Loweelyn Tortola. Joining them were Glayza Tiu, Caryl Joyce Carpio, Al-Kheezar Damada, Lyndelle Love Templado, Moslem Izbeidia, Dana Jane Tan, Julius Presto, Saniyah Bonal, Chardigin Albutra, Rejane Merida, Marrem Janelle Langeban, Natalie Mae Dagupan, Caress Mae Cabudoy, Corrine Ando, Rachelle Anne Paradela, Ellen Cinco, Gervie Batucan, Michelle Liao, Carol Tobes, Khairine Cuyos and Denzel Paragas who served as COMELEC members. 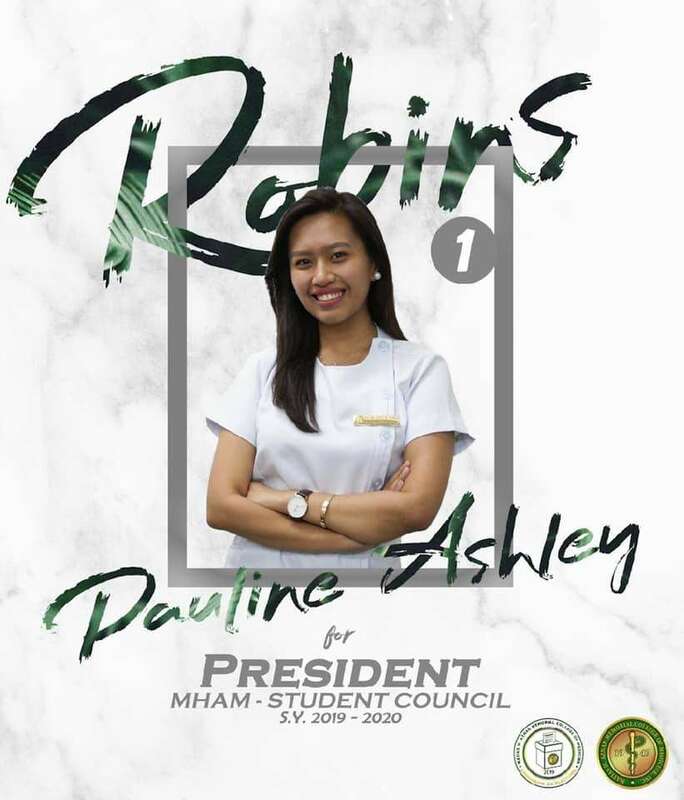 Based from the official result, Pauline Ashley Robins will sit as the new Student Council president; Ma. Christine Torralba as internal vice president; Ozair Ambag as executive vice president and senior APMC representative; Frenzy Antonette Tadle as secretary; Mae Ann Menchavez as treasurer; and Hisham Guinar as auditor. To complete, Michael Ryan Alimpoos, Ken Jesryl Caballero, Moises Ain Lucas Maramara, Pete Rodriquez and Kimberly Sanchez will serve as councilors for the academic year 2019-2020. Out-going SC president, Bryan Jay Carlo C. Paña, also assisted the eventful endeavor. Out of 550 voters, there were six spoiled votes in the official result while the eleven candidates got more than 50% of the total votes. 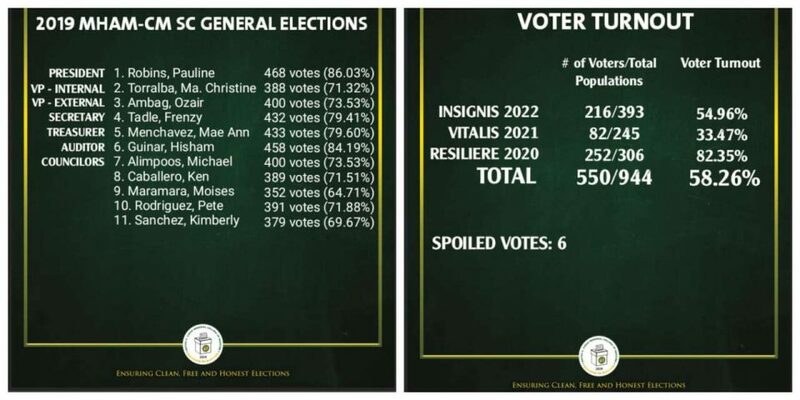 Although the general elections are not compulsory, only three hundred ninety-four (394) Insignis, Vitalis and Resiliere future doctors have skipped the annual students’ event. In unison, these elected officers will bring forth the essence of being Matias student-leaders which will be reflected in the standards they set for themselves for a better and greater MHAM Student Body. 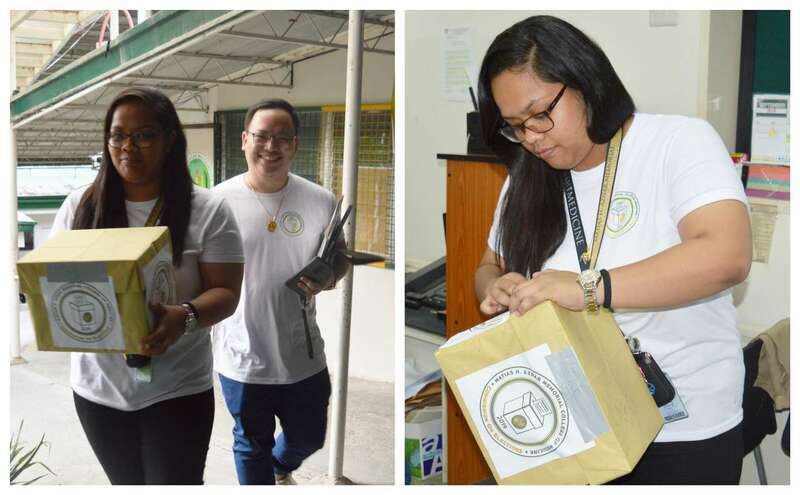 Creating a new set of standard for the next set of commissioners and members to follow in the succeeding general elections, the COMELEC team ended the first-ever automated election with a meaningful translation of commitment for the Student Body.